Unless otherwise stated, all content on this site (including text, images and graphics as well as the overall design and concepts) is subject to copyright and all rights are reserved. 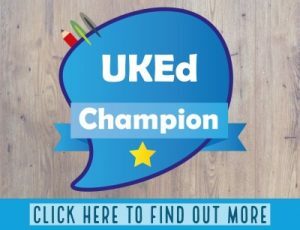 ukedchat.com is not liable for any damages arising from the use or misuse of this site or any of the information provided, or from any action or decision taken as a result of using the site. The information provided does not constitute legal or other professional advice. This site offers links to other sites. ukedchat.com is not responsible for the content of any linked site or any link in a linked site. A link does not imply that we endorse or have approved the linked site. We track where our visitors are located, for statistical purposes only. If you register on the site or via our e-mail bulletin, we do not use the details for any other reason and will not pass them on to anyone else without your consent. With all reviews, we will link readers to an affiliate link site (such as Amazon) where any transactions will occur in a third party domain. If affiliate links are not possible, we will charge an administration fee for adding reviews to the site. This is agreed on a case-by-case system. We are able to place products in our own market-place, but these are placed on a case-by-case agreement. We will act impartially on all reviews submitted on ukedchat.com and/or UKEdMagazine. We are under no obligation to review all the items that we get sent, although we do our up-most to accommodate each product. Some products will be sent out to teachers so they can try out products with their students. In this regard, full privacy agreements will be in place. Individual data is collected and held by UKEd Media, trading as UKEdChat. 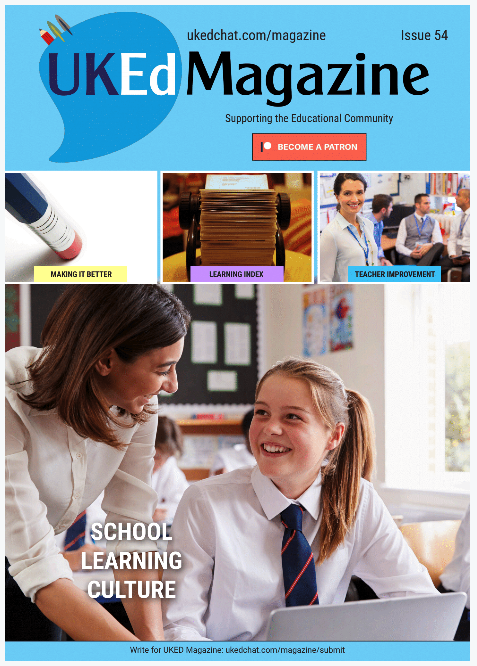 Firstly, the UKEdChat weekly newsletter list updates our audience about UKEdChat articles, events and activities. Individuals have opted into this list through the UKEdChat website, and the opportunity to unsubscribe is always available at the foot of each mailing. The data held includes name and e-mail address only. Secondly, various posts, articles and resources are only available to members, and this data is collected to access. All information is stored securely on the UKEdChat.com platform with our server. We have ensured that the website maintains a security certificate (see the https in the URL), and secured also by Wordfence software to stop malicious attacks on the platform. How can I find out about the data held for me? You can send a Subject Access Request to us to find out if we hold any data about you. Please e-mail admin@ukedchat.com and we will respond within 1-month outlining the information held. For privacy reasons, we can only respond to e-mail requests, and the results will be relevant to that e-mail account.